What is this pug so afraid of? 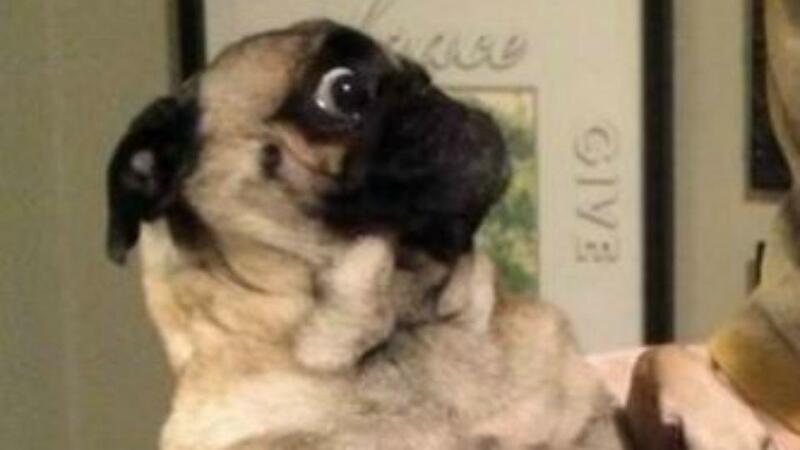 We’re kinda with the pug on this one. It’s not often the perfect photo op just pops into your life, but you certainly have a better chance of it happening if you own this terrifying shirt and mask combination. Mark, bless him, is fully aware of how upsetting this picture is. 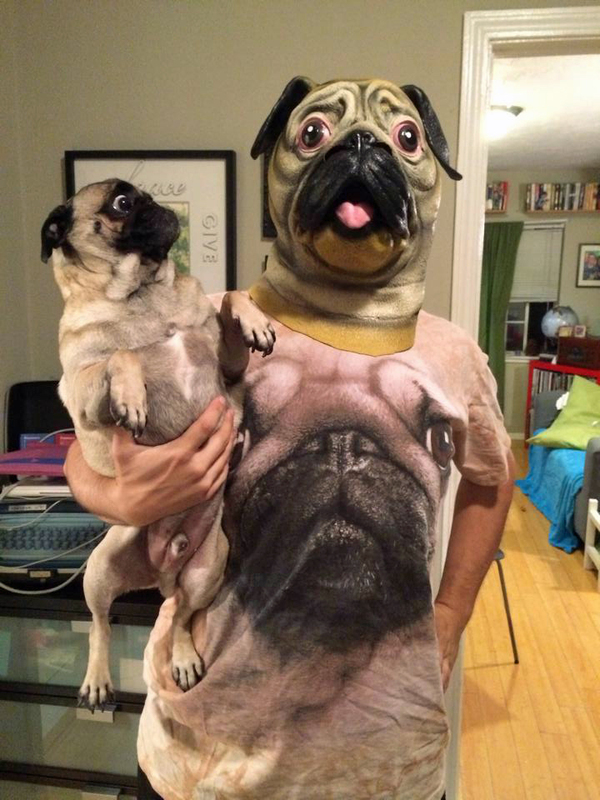 “The pug shirt was a funny gift from my wife, while the pug mask was a funny gift from me to her; and the night she got the mask I got this idea,” Mark says. They knew what needed to be done. However, they couldn’t have predicted that Gizmo would have, well, a pretty appropriate reaction. Yes, equal parts joy and fear. That sounds about right.